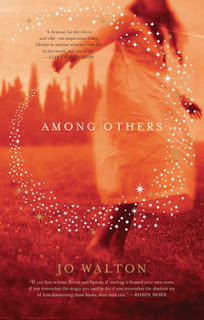 Among Others is a novel by Jo Walton that unfortunately just did not click with me. This book is written as a series of journal entries by the main character roughly covering between 1979 and 1980. The main character has recently suffered significant trauma and has been transplanted from Wales to England, where under the care of her father and aunts she is then sent to boarding school. This is a book about science fiction, fantasy and loneliness. The book contains a lot of talk about magic, where magic is a real thing with rules that are only understood by the main character when she encounters them. Magic is something that she has grown up with and is both self-evident and entirely unprovable where almost all magic that takes place is explainable by other means. Morwenna has taken refuge primarily in science fiction, the book is filled with her thoughts on the books she has read, the ones she has heard are coming out and speculations about themes and plots. It is where she can spend her time to avoid dealing with her classmates who she doesn't really understand and the key to entering into a community. As I said, this novel just didn't really click with me, there didn't really seem to be much in the way of threats, it was a young woman who might very well be a bit crazy, stumbling her way through unfamiliar circumstances. There were plenty of people who were sympathetic and willing and able to help her and she was able to get help where she needed it. I think that the constant naming and discussion of other SF works put me off, along with her apparently amazing talents most of her subjects (especially science) but apparently being terrible at maths.